Hard times ahead for Rachel. In May, Rachel Dolezal, who goes by the name Nkechi Diallo, was accused of 1st degree theft by welfare fraud, perjury in the 2nd degree, and false verification for public assistance in Spokane, Washington. She reportedly received $8,747 in food assistance and $100 in childcare assistance from August 2015 to November 2017. Diallo claimed her income was as low as $500 a month, but court docs from August 2015 to September 2018 say she deposited nearly $84,000 in her account, which wasn’t reported to the Department of Social and Health Services. Now she has been booked and fingerprinted for her crime. KHQ Q6 reports, she “was booked and released from Spokane County Jail on Monday. Deputies took fingerprints and a booking photo before her release.” If Dolezal is found guilty, she is facing up to 15 years in prison. The transracial race faker made an appearance in court yesterday. Her trial date is set for September 10. 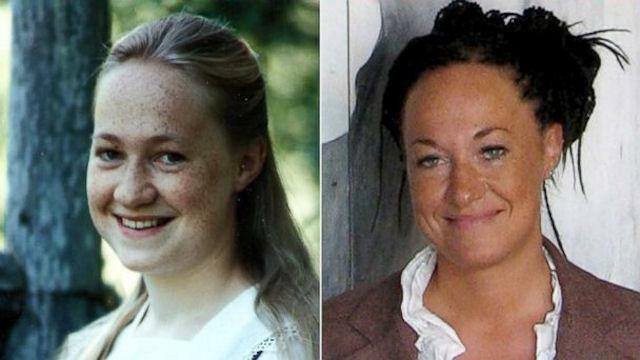 As we said before, Dolezal can’t deny her whiteness with this crime. White Americans receive public assistance more than any other racial group. In case you forgot, Dolezal was exposed in 2015 for being a fake Black woman who was serving as the president of the National Association for the Advancement of Colored People (NAACP) chapter in Spokane, Washington. Since then, she released a book, which flopped. A Netflix doc on Dolezal was released earlier this year, and it received critical acclaim. If Dolezal goes to the slammer, how will the inmates react to her? There is no faking your race in jail without access to buckets of bronzer and a toxic tanning bed. LIRR Racist Charged With Hate Crime, Will Aaron Schlossberg Be Next?